Bored of slow charging? Speed up your charging with LCARE quick charger. Buy LCARE Universal QC 3.0 Quick Charging Wall Charger with Single USB Port at Rs 336 only on Amazon. Hurry!!! Order now. 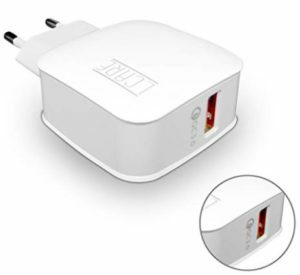 How to Buy LCARE Universal QC 3.0 Quick Charging Wall Charger with Single USB Port at Rs 336 only?